Should be done on regular basis, a carpet, rug or lounge suite has a build up dirt, stains dust and insects. If this in not removed it can become a problem reducing your fabric life. - Mould and Mildew can begin growing causing health problems such as asthma, sneezing, Itching, runny nose, etc. 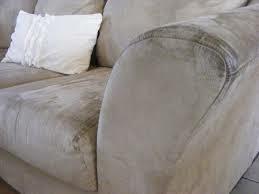 - Stains make you fabric look dirty and undesirable to sit on, your friends and family will not feel happy in an environment that is not clean. - Soil scratches away, cutting or permanently staining fibres. This will reduce the life of you precious rug, carpet or lounge suite you will pay many $,000 of dollars to replace your item. Create a healthier Home or work place, clean you Rugs, Carpets, Upholstery, Curtains or hard surface floors regularly. You will be happier in a cleaner environment, your home or work will sparkle. Call Able Carpet Care today.